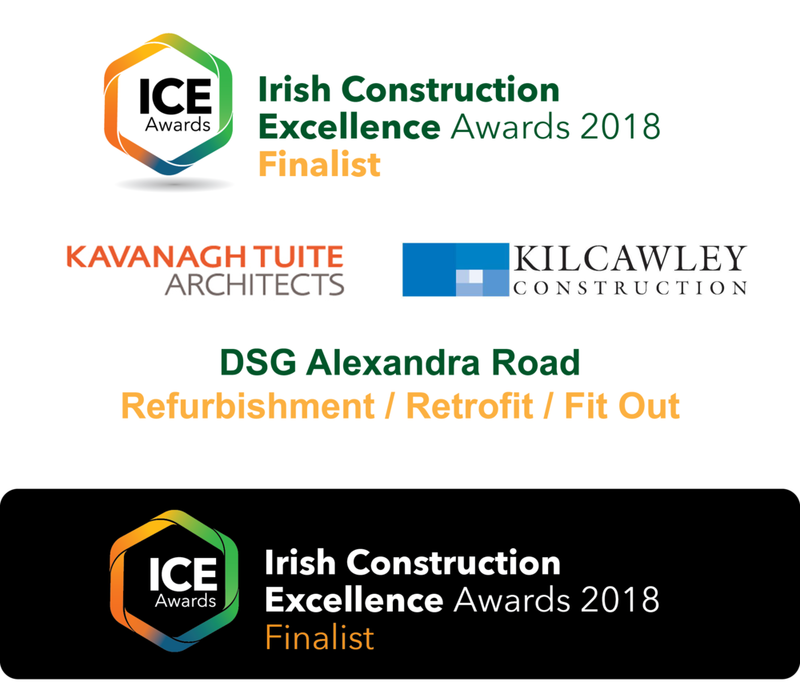 We are delighted to have been nominated in the Irish Construction Excellence Awards with Kilcawley Construction for our work on the Doyle Shipping Group building. The new, landmark building is the adaptive re-use of an existing 1970s concrete frame 5-storey office building for Doyle Shipping Group. This project is located in Dublin Port in the North Docks. The brief was to upgrade the existing structure to facilitate both stevedores working on the docks and adminisrative staff for DSG's Dublin operation. The works included a full building fabric strip out, full mechanical and electrical services upgrade, an internal office fit-out with associated canteen facilities and a performance led building facade upgrade. The aluminium shading fins to the southern elevation provide visual articulation to the south facade and solar protection within the building. The robust design successfully reflects the industrial context while adding a contemporary addition to a developing and changing part of Dublin. The gala event for the #ICEAwards will take place in the Round Room at the Mansion House on Friday, 23rd March.